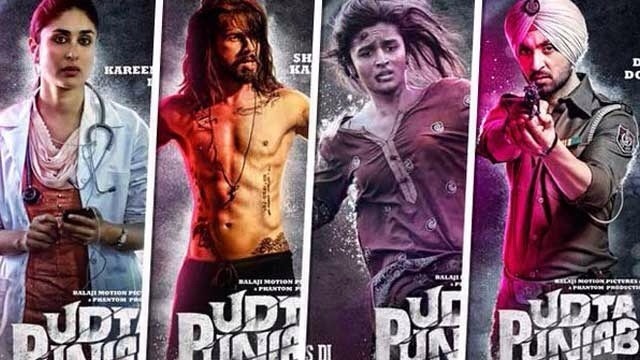 Abhishek Chaubey’s Udta Punjab lands in a pool of trouble after being pushed into political controversy. As the film deals with drug threat in Punjab, ruling party Shrimoni Akali Dal feared an issue in coming assembly elections. The Central Board of Film Certification, CBFC, has demanded 89 cuts in the film & asked to replace the word “Punjab” in the title. CBFC also directed makers of the film to remove any reference to the state of Punjab. Another blow on the freedom of speech. Inspite of being compared to the Tanmay Bhat case, I strongly reject any similarity between the two. Where Tanmay’s snapchat blunder was his “successful” attempt to grab the attention; Udta Punjab highlights the drug threat Punjab is facing right now. Udta Punjab is the crisis Govt must urgently deal with. An alarming situation which is spoiling youth of our country, inhibiting productivity. Producers of the film moved Bombay High Court seeking a copy of the order passed by Censor Board’s Review Committee suggesting removal of reference to Punjab in the film. Top members of Film fraternity opposed the censor board order. Mahesh Bhatt, Mukesh Bhatt & Karan Johar have been quite vocal while reacting to the censor cuts. Bollywood is an art platform that has its own version of analysing and criticising issues. Curbing artistic views is not beneficial for a developing society like ours. Previous Bhat gained all the attention he needed. Next Why Udta Punjab is not another Tanmay Bhat!